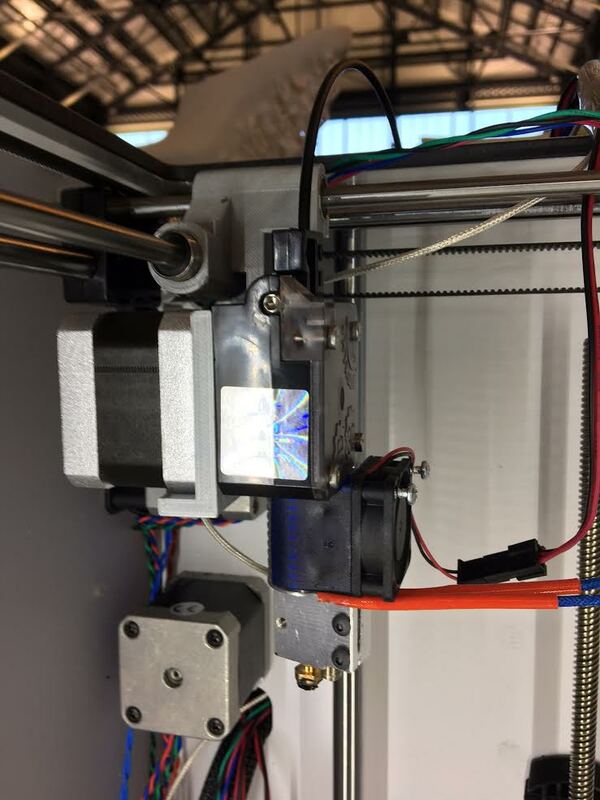 I have retrofitted our UM2 extended with a direct drive e3D titan motor + e3D volcano hotend. At first, I ran into little to no problems. As long as I kept the temperature below 295 the temperature sensor of the UM2 didnt throw the ERROR - TEMPERATURE STOPPED error; however, overtime the temperature sensor needed to be replaced, so I bought a PT100 B sensor for the UM2. But when I put the new temperature sensor in the printer, the ERROR - TEMPERATURE STOPPED appeared the second it was turned on. I checked all the wiring, and everything is wired up the way it was when it worked. I switched the heating bed and hot end sensor to see if the new temp sensor was the issue, and it turned on without an error. So something might be wrong with the main board, but at the same time the UM2 did actually turn on and start heating when I switched the hotend and bed sensors, so I have no idea what is creating the problem. Measure the resistance of the sensor when it is not connected to your printer. It should be about 108 ohms at room temperature. If it is below 100 ohms or about 120 ohms then it's not the right kind of sensor. If it *does* measure 108 ohms then you probably did not insert it properly into the board or it isn't making good contact. I measured the resistance of the temperature sensor. It's about 1 ohm, using the same method I measured the resistance of the heat bed sensor and it was 108 ohms. I have no idea why the resistance is so low, perhaps the sensor was shorted? All I know is I ordered the sensor specifically for the UM2 machine (a PT100 B sensor), and it looks exactly the same as the old one, just a bit longer. Should I assume the sensor is broken, or that I bought the wrong one somehow... and if so, do you know what sensor I should buy, and where? But your temp sensor is hopefully still under warranty since it never worked.